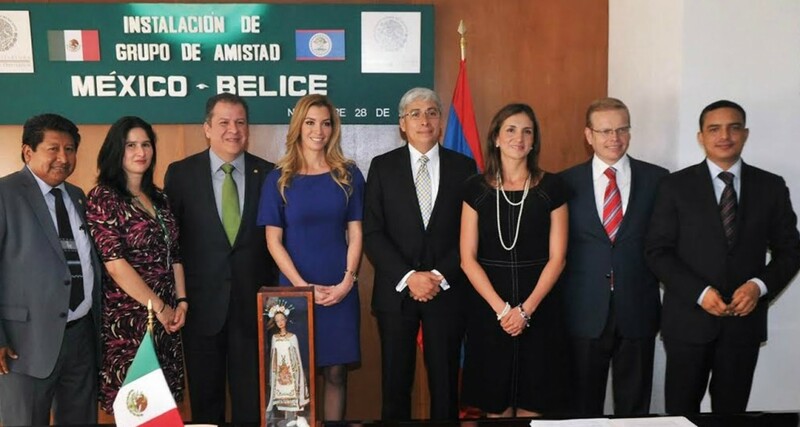 On November 28th the Congress of Mexico formally established the Belize - Mexico Friendship Group. The group will serve as a high-level forum that complements existing diplomatic mechanisms between the two countries. Friendship Group: Irazema Martinez Olivares, Francisco Fernandez Clamont, and Raúl Gómez Ramírez, and Members of Congress from Quintana Roo: Lizbeth Gamboa Song, Raymundo King de la Rosa, and Eduardo Quian Alcocer. The Mexican Foreign Ministry was represented at the event by Ms. Monica Gonzales and Ambassador del Cid was accompanied by First Secretary Carlos Montero.